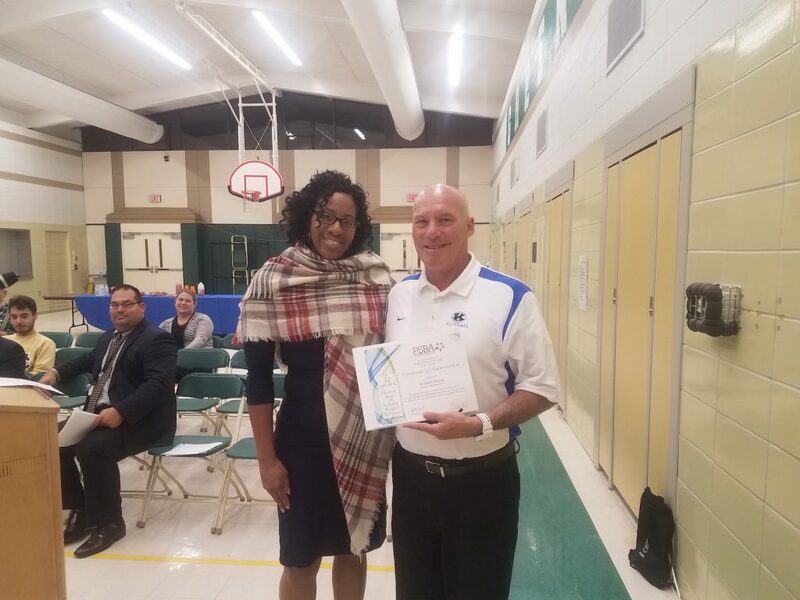 Pennsylvania School Boards Association’s Member Services Manager Mila Hayes recognizes School Board Member Nick Perigo for 12 years of dedicated service to the Kennett Consolidated School District. Pennsylvania School Boards Association’s Member Services Manager Mila Hayes recognizes School Board Member Nick Perigo with award. Colin is among approximately 1.6 million juniors who entered the 2019 National Merit Program by taking th e 2017 Preliminary SAT/National Merit Scholarship Qualifying Test (PSAT/NMSQT), which served as an initial screening of program entrants. In addition to singing in the choir, Colin is a member of the spring musical and the academic team. 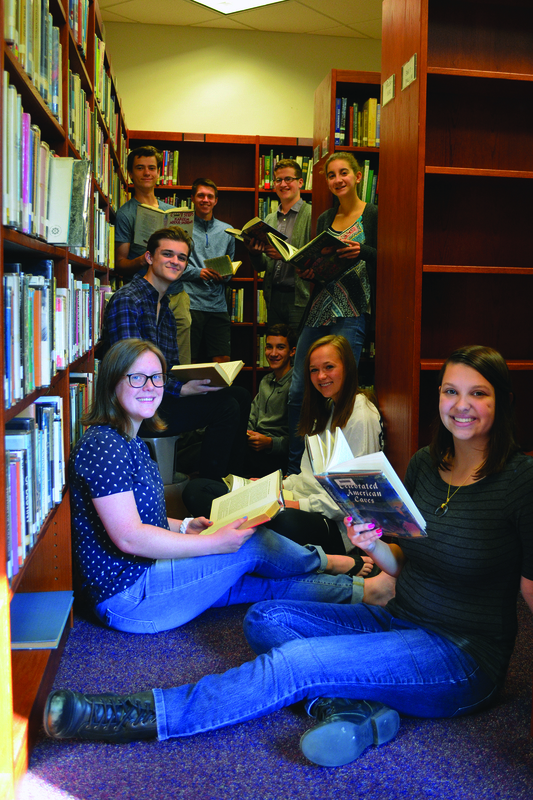 Kennett High School is also proud to announce that seniors Amanda Bell, Jonathan Bell, Emma Giancola, Molly Hohner, Rachel Hyzny, Peter Magasiny, Caleb Pebly, and Davis Peircy have been named Commended Students in the 2019 National Merit Scholarship Program. Jonathan Bell is a member of the tennis team, Future Business Leaders of America, and marching band. For its outstanding financial reporting, budget presentations, and leadership in the 2017-18 school year, the Kennett Consolidated School District was honored by the Association of School Business Officials (ASBO) International. The District received the ASBO Certificate of Excellence in Financial Reporting. To read more click here. New this year, U.S. News & World Report began factoring Advanced Placement® (AP) exams in the ranking methodology to highlight schools that expose their students to a diverse and rigorous high school curriculum. With an AP pass rate of 66 percent (meaning students scored a three or higher on an AP exam), Kennett High School students have shown that they can rise to a challenge. A number of students entering 12th are missing proof of their second meningitis vaccine and a number of students entering 7th grade are missing their Tdap and/or meningitis vaccine. These vaccines are technically required before students can being school on August 28th. While we are giving students a 5-day grace period, please note that students will not be allowed to attend school on September 3rd (day after Labor Day) without proof of mandated vaccines. For 7th grade students who still need to provide proof of the Tdap and meningitis vaccines, contact Diane Shannon at 610-268-5874 or dshannon@kcsd.org. Proof of vaccines can also be faxed to 610-268-5892. For 12th grade students who still need to provide proof of the second meningitis vaccine (done after age 16), contact Susan Steuber at 610-444-6615 or ssteuber@kcsd.org. Proof of vaccines can also be faxed to 610-444-7013. The 2018-2019 student school year will begin on Monday, August 27, 2018, and is tentatively set to end on Thursday, June 6, 2019, dependent on the need for inclement weather make-up days. The winter holiday will run from Monday, December 24, 2018, through Tuesday, January 1, 2019, with school resuming on Wednesday, January 2, 2019. Spring break will be Monday, April 15 through Friday, April 19, 2019. Graduation is scheduled for Friday, June 7, 2019. Inclement weather make-up days will be added to the end of the school year. There are five days designated as “local holidays” in accordance with the ruling of the Department of Education. The designated local holidays are Monday, January 21, 2019 (Martin Luther King holiday); Monday, February 18, 2019 (President’s Day holiday); and Monday, April 15 through Wednesday, April 17, 2019 (spring break). 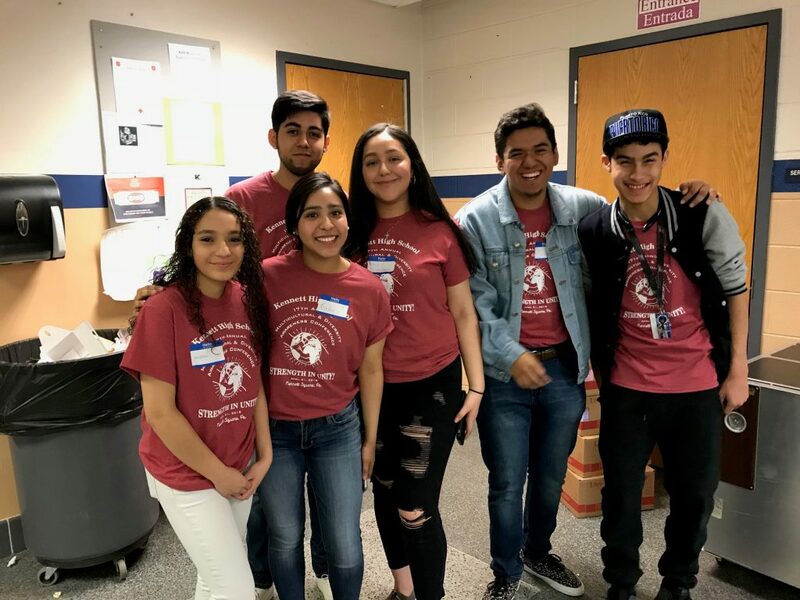 In April, Kennett High School welcomed high school students, teachers, and school personnel to the 17th Annual Multicultural and Diversity Awareness Conference. The day was full of thought-provoking workshops organized by a student committee and led by students, educators, and adults who are all well versed in multicultural affairs. 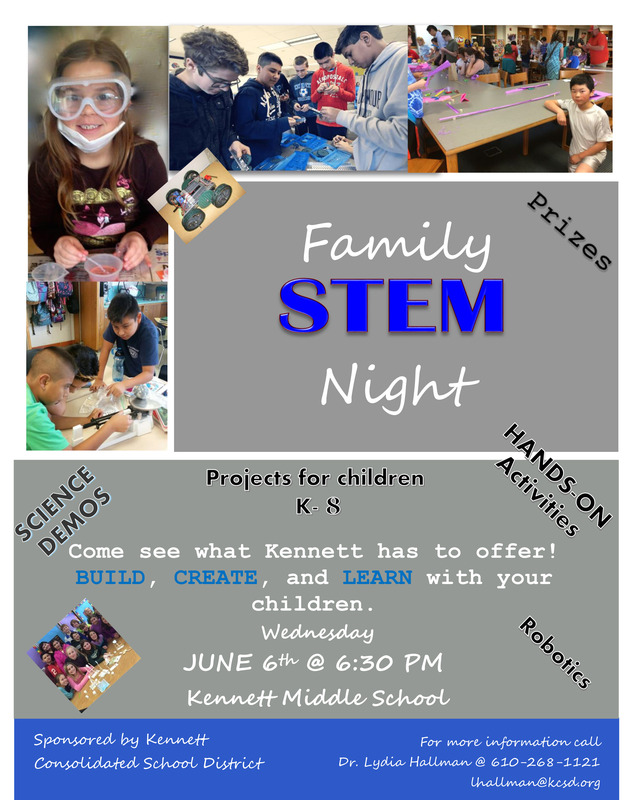 The event was kicked off by Mr. Ray Fernandez, the program coordinator and the assistant principal of Kennett High School. Following the thoughtful words of Mr. Fernandez, the superintendent of Kennett Consolidated School District, Dr. Barry Tomasetti, took the opportunity to say a few words and to applaud Mr. Fernandez’ hard work in making the Multicultural and Diversity Conference a highly anticipated event hosted by the District for 17 years. Next to the podium was Kennett High School freshman Johnette Boddy who eloquently introduced the influential keynote speaker, Mr. John Suggs, community activist and executive director of CF Charities in Philadelphia. Keyanna has volunteered at the conference since her freshman year. She is a member of both UNIDAD and Ujima, student groups focusing on Latino and African-American student leadership. Mrs. Tania Ramos Oton, a teacher from Esperanza Academy in Philadelphia, has been bringing students to the Multicultural and Diversity Awareness Conference for years. 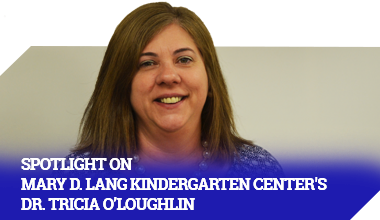 She comments that she welcomes the opportunity to expose her students from North Philadelphia to a youth conference about diversity. Two of her students, sophomore Wily Lopez and freshman Andrick Medrano, were looking forward to their workshop choices, stating that both held the potential to help them in their daily lives.